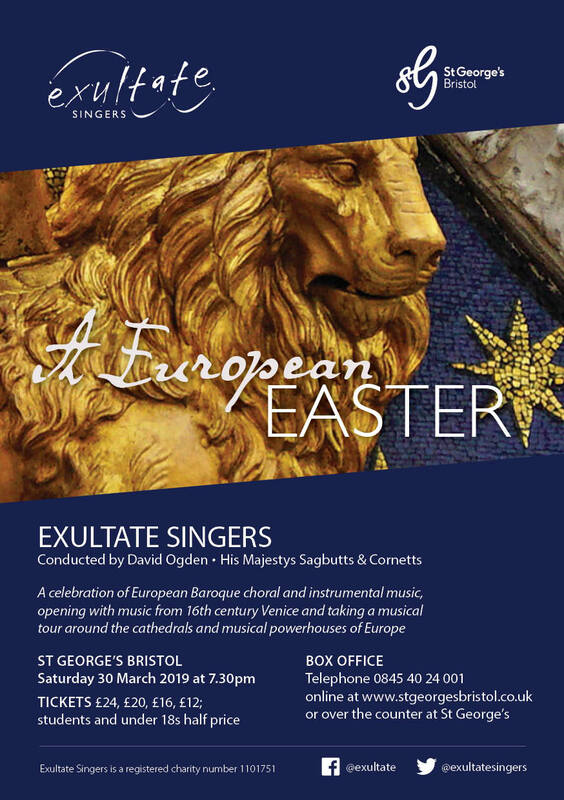 Bristol’s Exultate Singers and the internationally renowned early music ensemble His Majestys Sagbutts and Cornetts join forces again for a celebration of European Renaissance and Baroque choral and instrumental music. Opening with music from 16th century Venice, the performers take a musical tour around the cathedrals and musical powerhouses of Europe, exploring the evocative, virtuosic and exuberant Italian-influenced music of England, Portgual, Austria, Germany, Poland, Spain, the Netherlands and France as well as music written for St Mark’s Venice, guarded by its golden lions. Come and experience this spectacular sonic event as the music reverberates around the hall and balconies of St George's Bristol. His Majestys Sagbutts & Cornetts is a specialist early music recital group comprising two cornetts, three sackbutts and chamber organ. 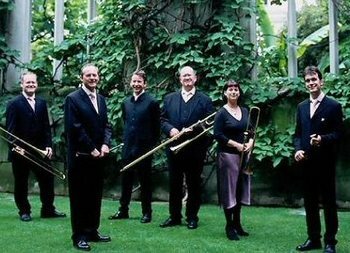 The ensemble has collaborated with leading choirs including Sir John Eliot Gardiner’s Monteverdi Choir, the BBC Singers, and the choirs of Trinity, King’s and St John’s Colleges, Cambridge and appeared at the Salzburg Festival, St Mark’s, Venice, and the Sydney Opera House.